Learning and Sharing knowledge is a Passion for us. 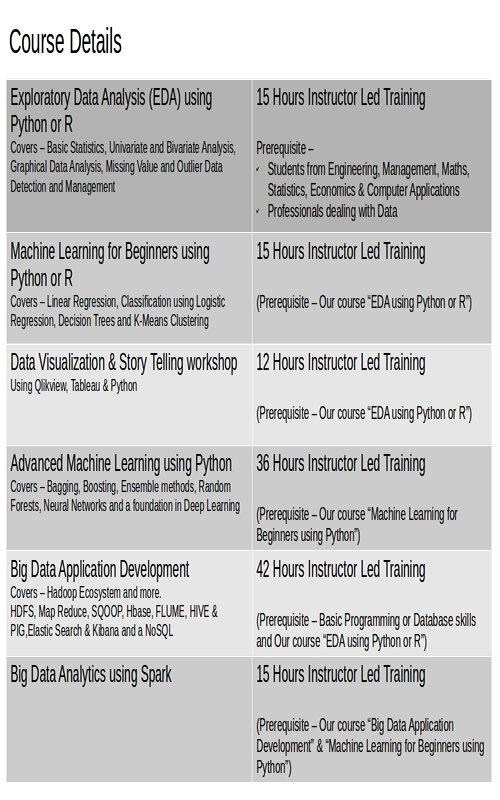 As part of our initiatives in Data Science Education, we offer job oriented certificate courses designed after decades of our experience in this field and after consulting with leaders in Academia & Industry. 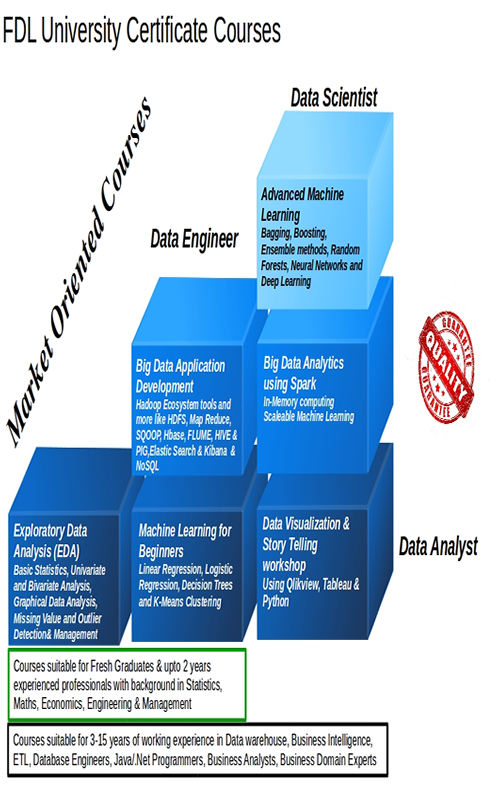 If you are a BI/ETL/Database/Java/.Net/UI/QA/ES Professional looking for a platform to pole vault your career to become a Data Scientist or if you are a Fresh Engineeer/MCA/Management/B.Sc/M.Sc (Applied Math/Statistics) looking to start your career in the exciting field of Data science, then here is a great opportunity to learn from Practicing Data Scientists.